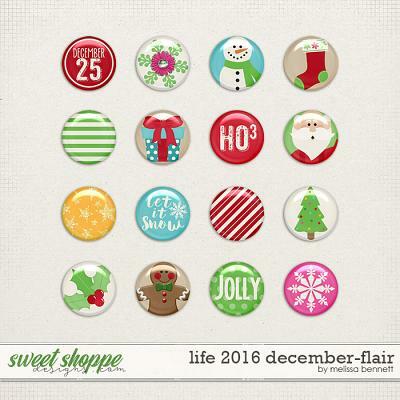 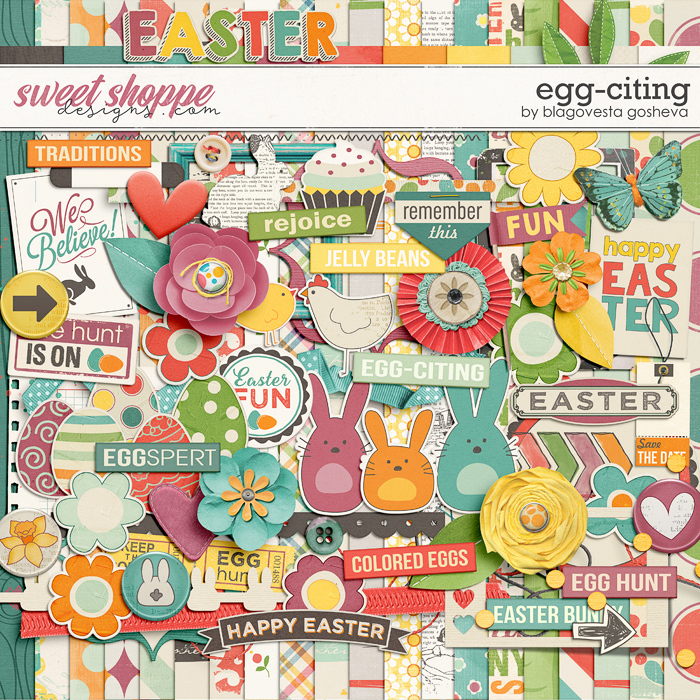 NOTE: An old version of this kit was sold in my previous store. 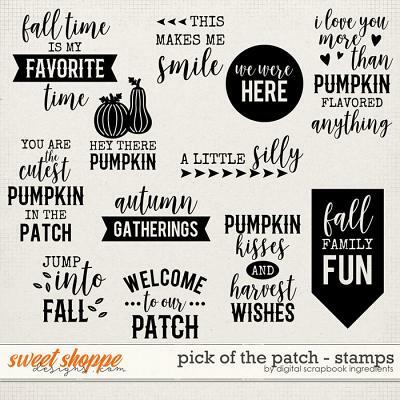 Check your stash before purchasing! 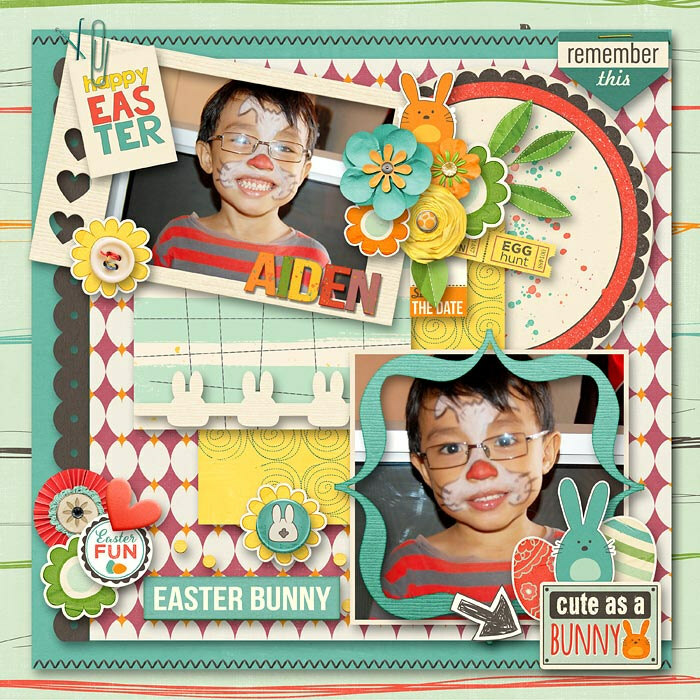 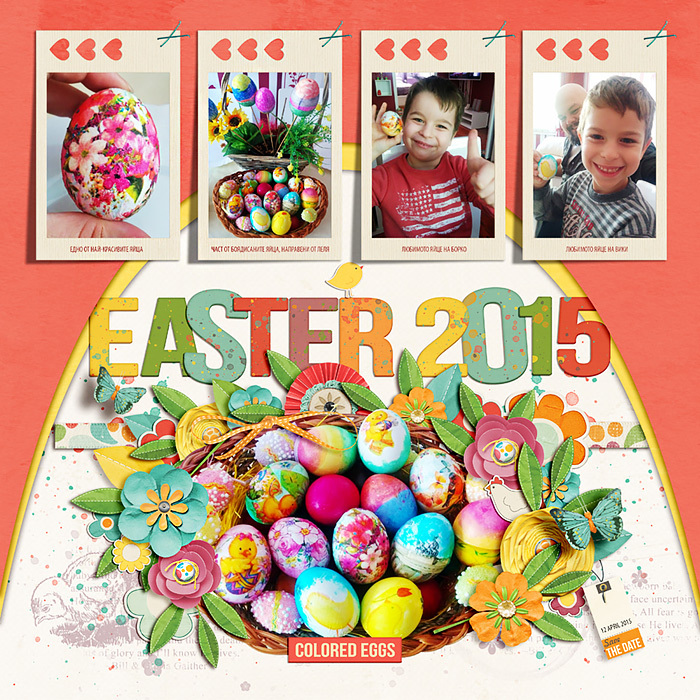 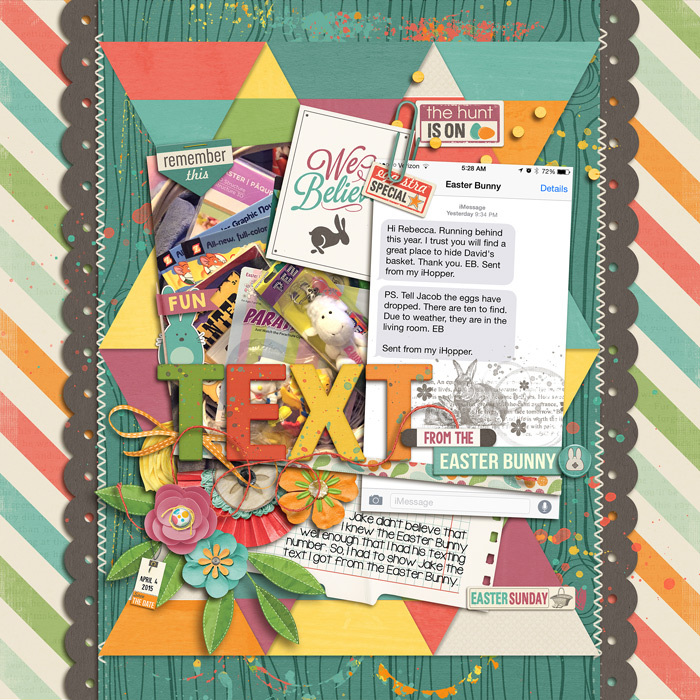 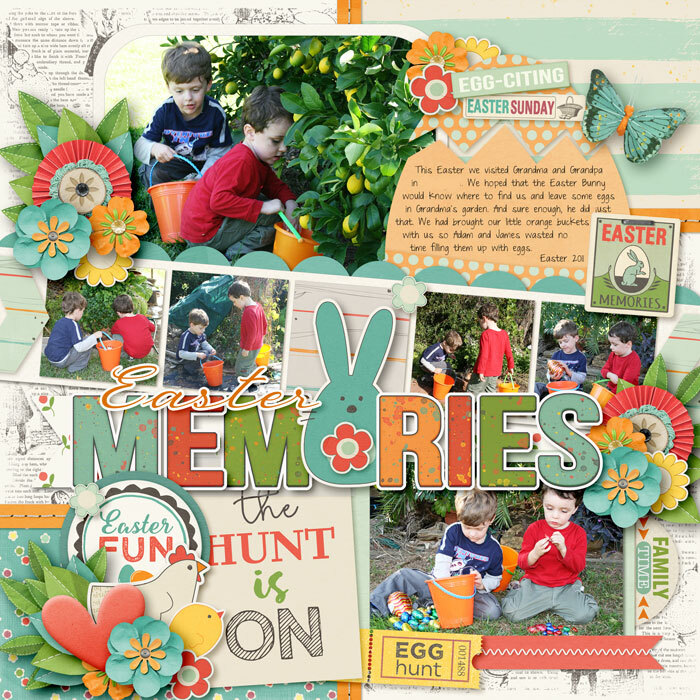 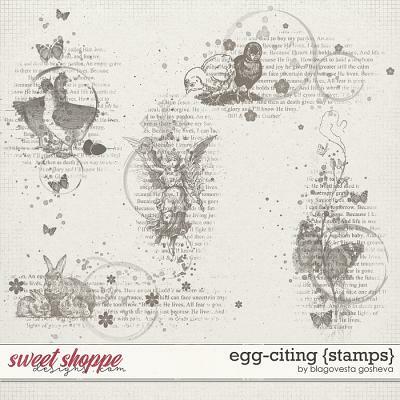 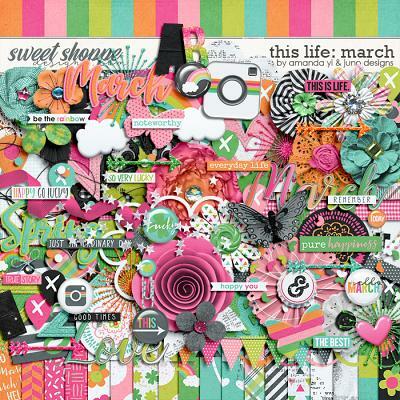 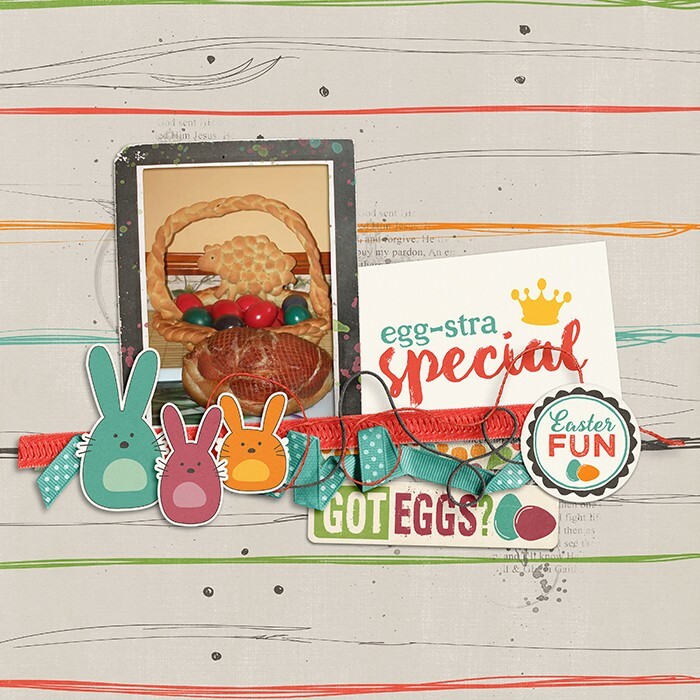 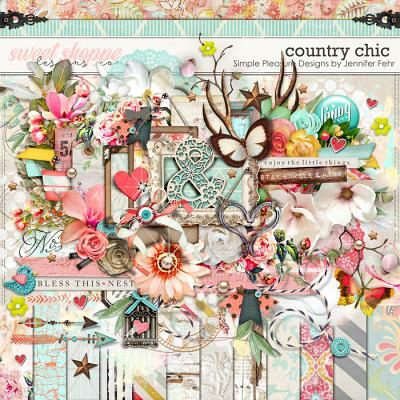 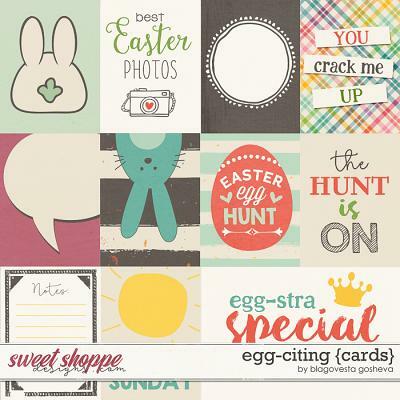 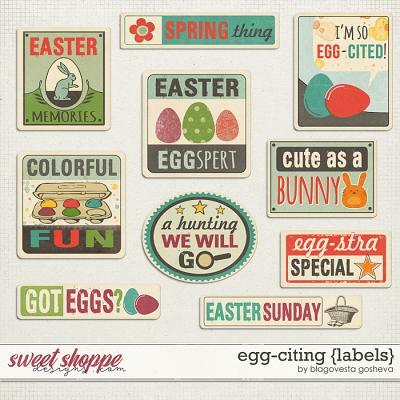 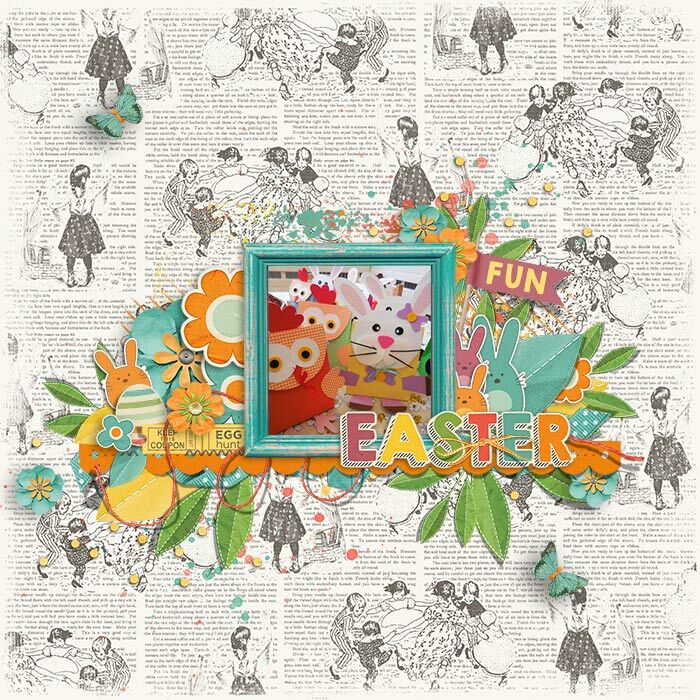 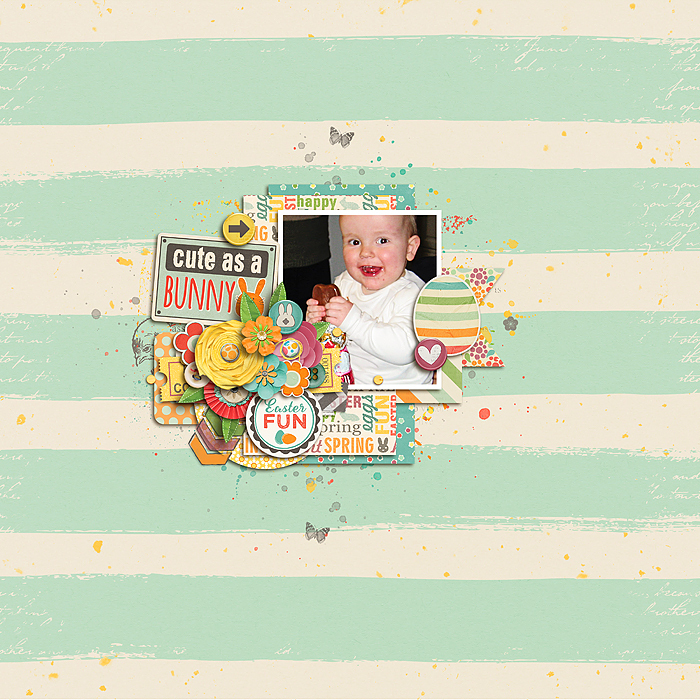 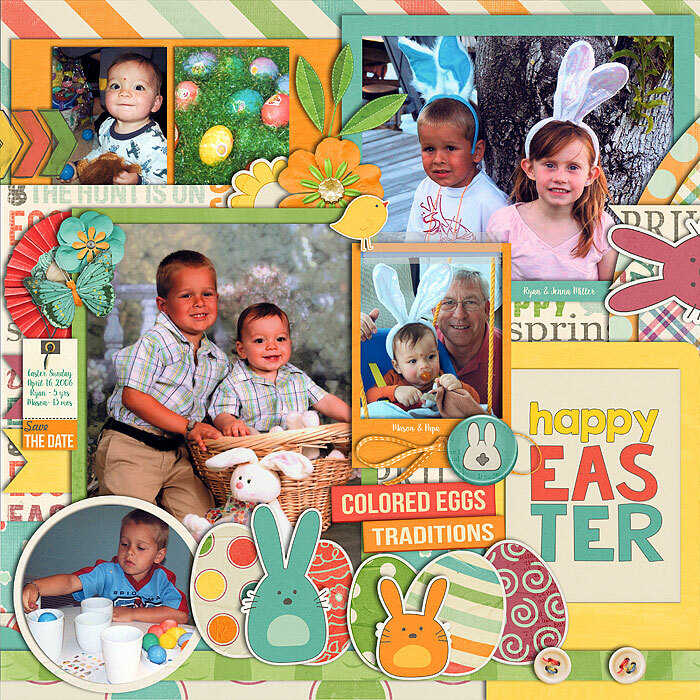 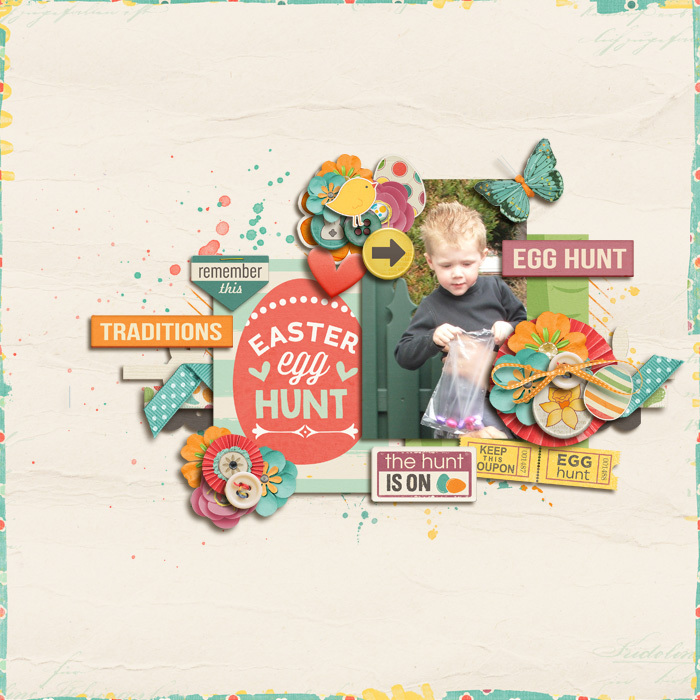 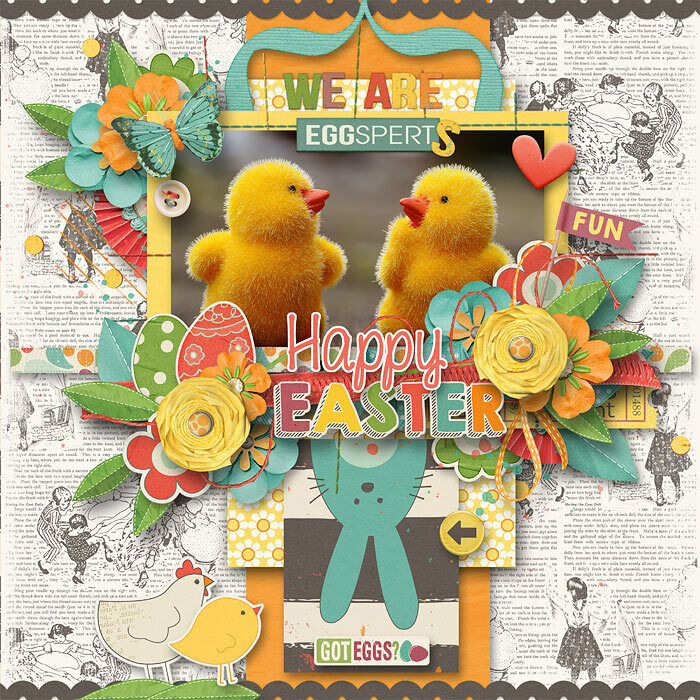 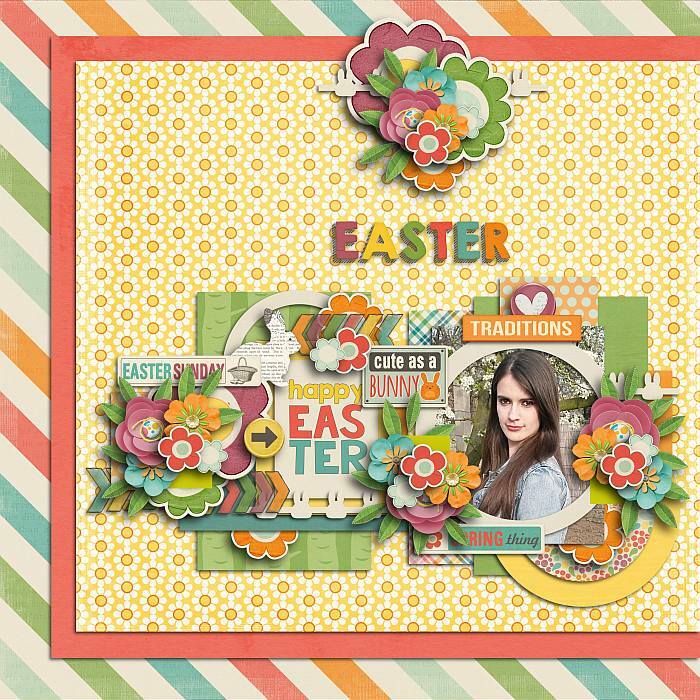 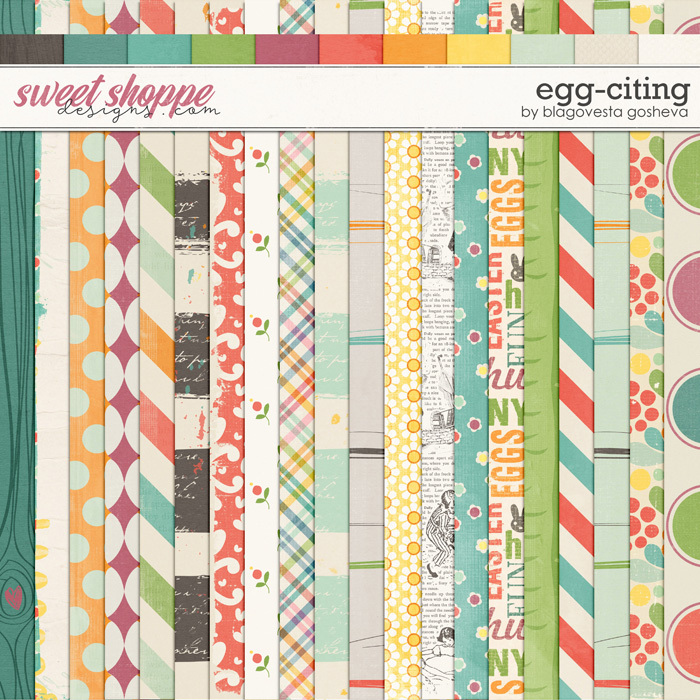 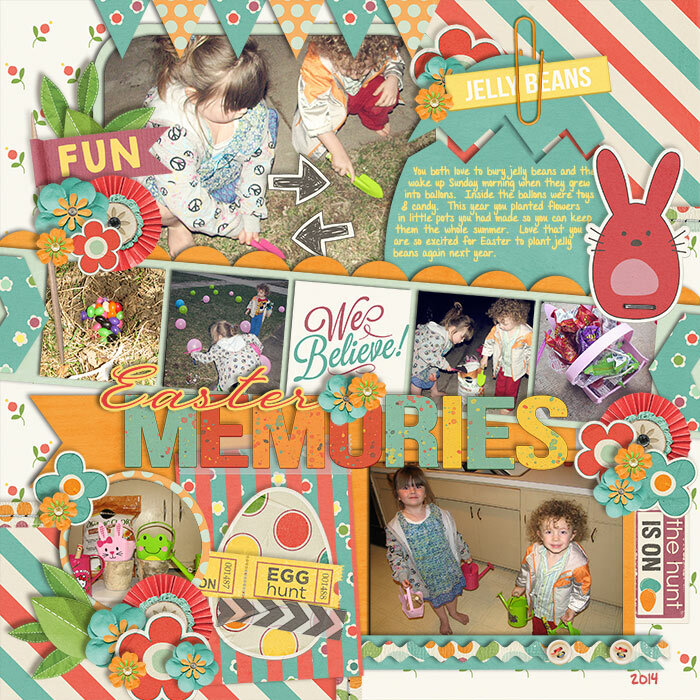 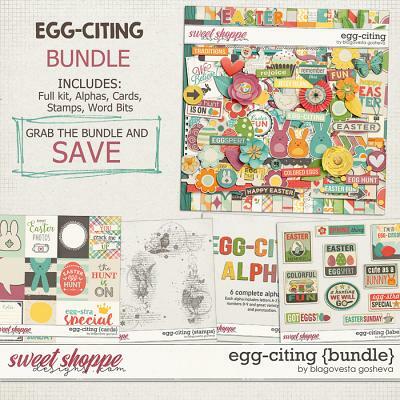 A digital scrapbooking kit by Blagovesta Gosheva, "Egg-citing" is a cute, whimsy kit, packed with more than 90 elements and 31 papers, perfect for all your Easter or spring pages. 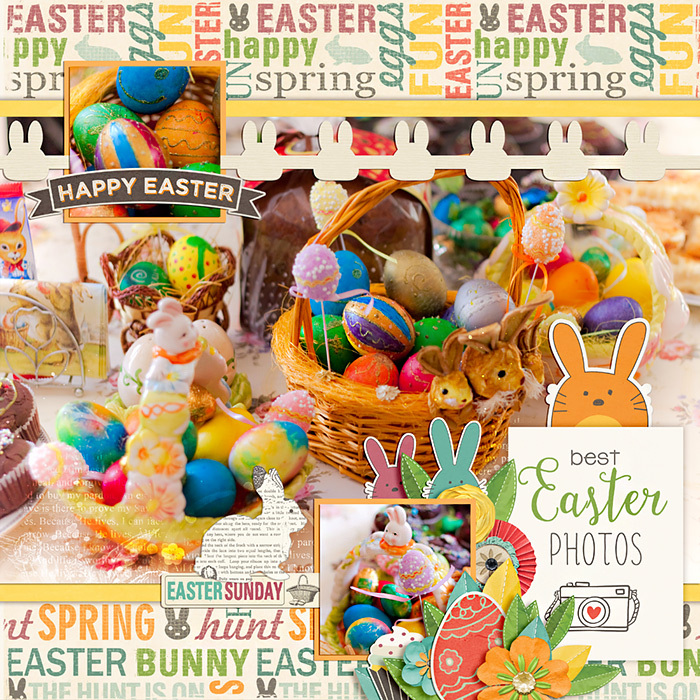 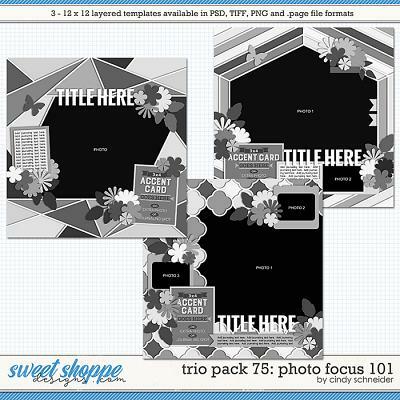 Contents: 20 patterned/brushed papers, 11 solid papers, 4 cute bunnies, chicken, hen, 5 Easter eggs, cupcake, 5 big paper/felt flowers, 7 flowers stickers, 4 leaves, 5 frames, 2 arrows, 2 borders, bow, butterfly, 2 buttons, 2 pocket cards, clip, 4 flairs, 2 hearts,2 journalings, 3 overlays, 2 paint splatters, 3 ribbons, scatters, 4 stitches, 3 strings, 3 tags, vintage tickets, toothpick with flag, washitape, word art and a lot of word strips and labels.